It has been 10 weeks since our over-packed car drove up our new street in France. After two weeks of holiday feeling, normal life has also started here with school and work and it feels like we’ve never been somewhere else. We eat our porridge in the morning together at the kitchen table, before the kids are collected by the school bus in the square. In the meantime the fire is burning and the sun is coming up over the mountains. I hang the laundry in the sun, something so boring had become something so nice. We eat lunch all together outside in the sun in the midst of winter. 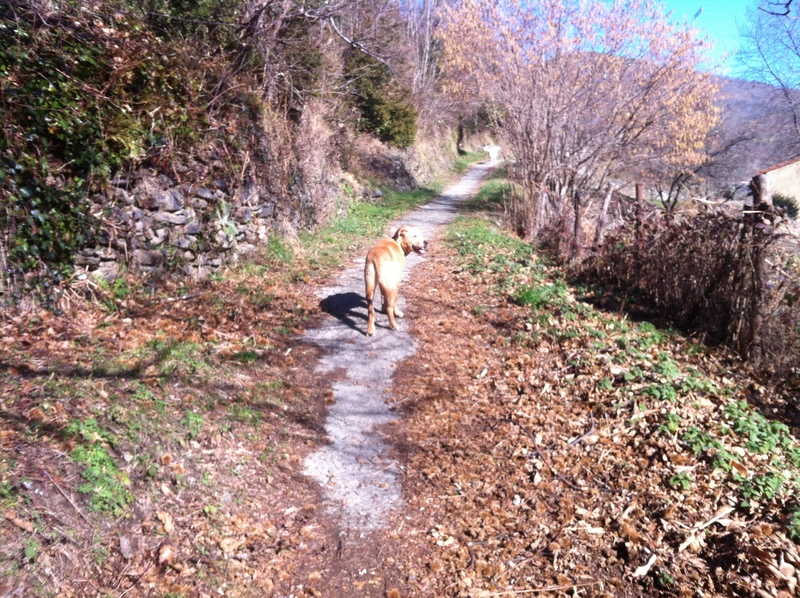 We walk the dog along the river collecting wild chestnuts and dry wood for the burner. As I close the shutters before going to bed, I see the pit black sky covered with stars. Not only every single moment of spare time feels more free than at home, I also feel more free. Now that my life has simplefied, I start to notice how tense I was at home. Suddenly I don’t go to bed anymore with a head that’s exploding with all the images, stories and questions of the day. I don’t worry anymore about getting enough sleep and about my agenda. I just go to bed and sleep until the children wake me up. I didn’t even know that that was possible. And in the meantime, after being exhausted for several weeks after the move, I start to feel alive again and more inspired than I have been in months. When the kids are off to school, I walk up the mountain with the dog, do the dishes (yes no dishwasher here, nor a cleaning lady, nor a nanny) while I make coffee and then I open my computer at the kitchen table and just read and write. It is exactly as I had hoped for it would be, the silence to sit, think, read, listen and work. And between all these new experiences, spring suddenly seems to have arrived. 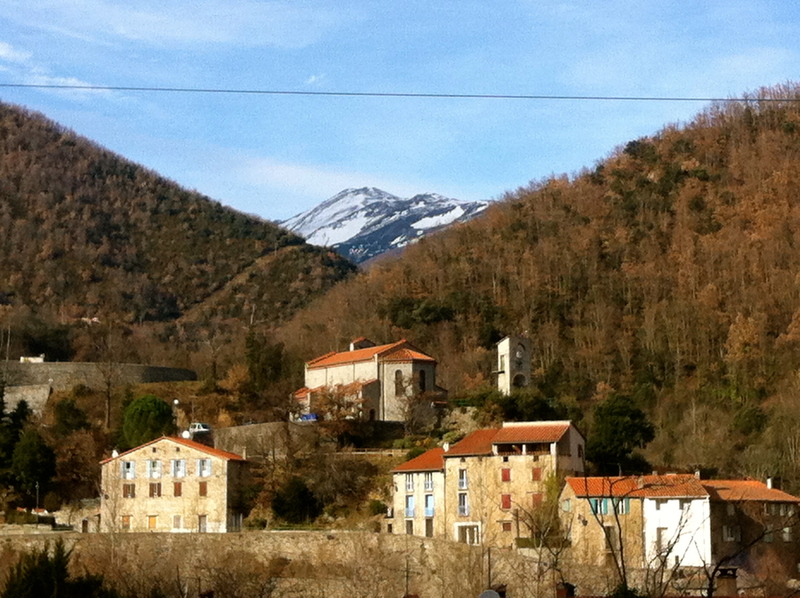 All the French keep warning us about the harsh winter that would arrive, so we ordered lots of wood and I brought woolen underwear, snow boots, and ski gloves for the whole family, but we haven’t seen snow but on the peak of the Canigou. 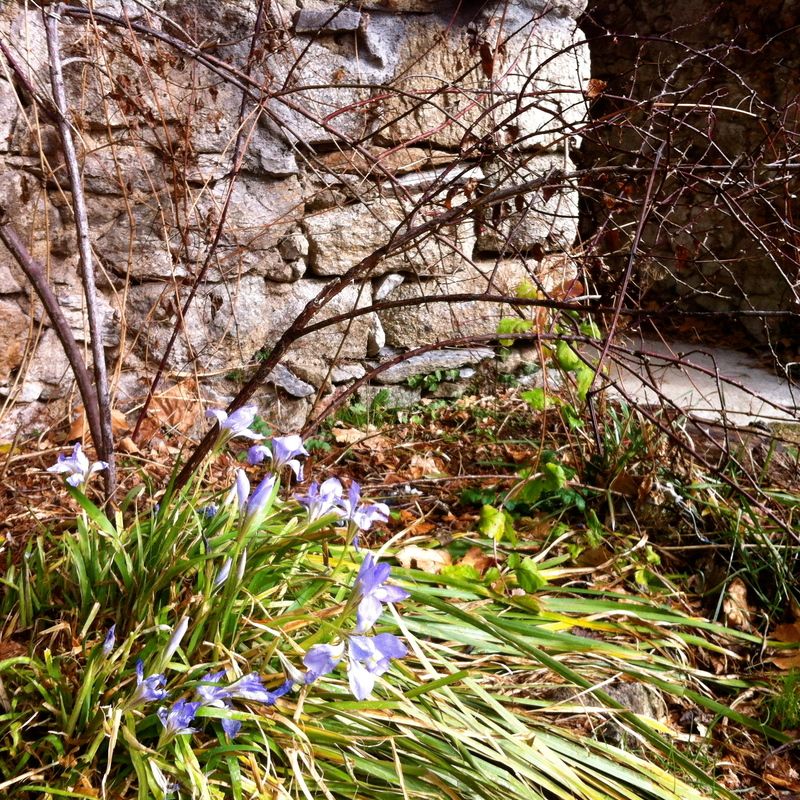 Instead every afternoon it’s 20 C in front of the house and are the first flowers finding their way to the sun.